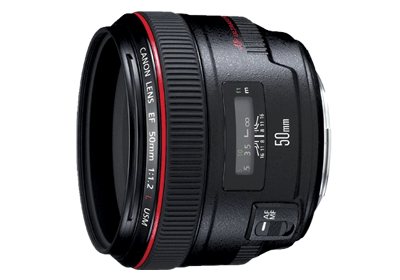 This standard lens features a super-wide maximum aperture of f/1.2. Taking advantage of shallow depth of field allow the photographer to capture subjects with impact, such as for wedding portraits. Use of an aspherical lens effectively corrects spherical aberrations and delivers sharp, high-contrast images even with the aperture fully open. Another attractive aspect of the lens is its circular aperture that creates beautiful background blur. Coupled with silent, high-speed autofocusing and full-time manual focus override of subtle focusing adjustment, this lens satisfies professionals both in image quality and operability.